Good day to all Eagle Creekers, We have had many of these beautiful days (except for some rainy ones). As we are nearly halfway through the season, if you haven’t moved your trailer to the upper lot yet, it will be moved next week. We have a few more abandoned boats (dinghys) on the lot with no stickers and no way of owner ID. The purpose of the stickers is to determine ownership. it also makes sure your boat isn’t hauled off or sold. 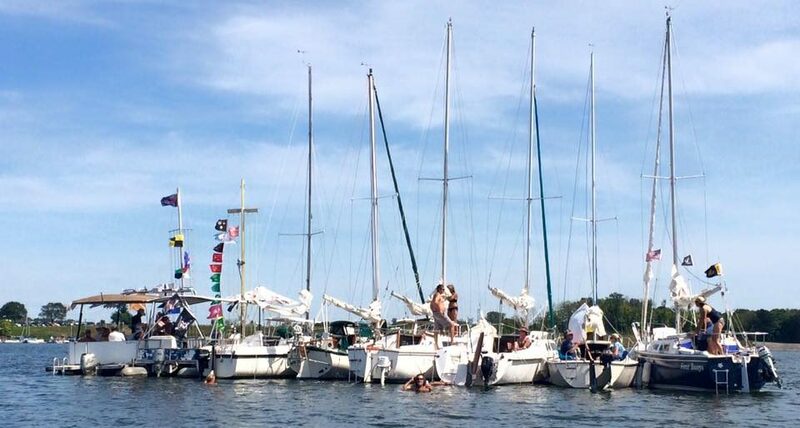 This is a real marina now and it isn’t a boat storage yard like it was for years. Any boat without stickers will be trashed or sold since we have no way of identifying the owner. If you have not paid dues in 6 months or more your boat becomes ours according to Indiana state law. 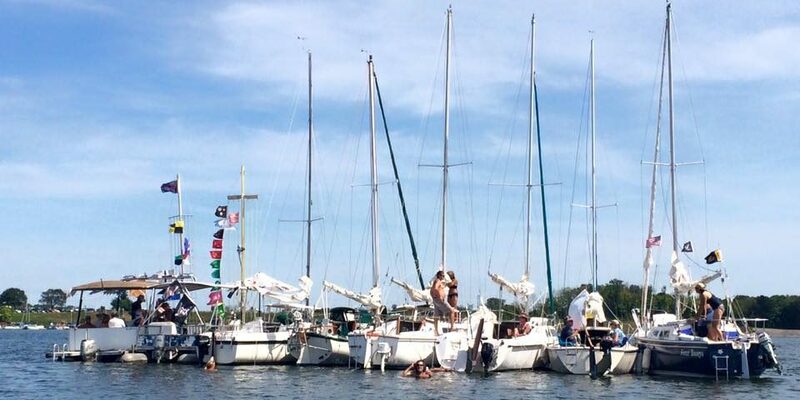 Please address this issue if you have a non-stickered boat at the club because you may never see it again in a few weeks. Those of you that don’t feel the need to post your new stickers may find your boat in a new location and I may be calling you. Please follow these club rules and do not think for one minute that you can do as you please because it will not be tolerated. If you do not put the proper current stickers on your boat and trailer I will move your boat to the worst spot available in the club and lock it up until you work with the harbormasters according to club rules. All dry sailors will be afforded the best dry slips available as a real marina should do. The less you sail your boat the further East your boat is going to be positioned. Those of you with multiple boats should check on them on a monthly basis, any damage is your responsibility. As you head toward the pressure washer the dry slips on the left are for large boats with large rigs, please do not put a small boat and trailer there because it will be moved. The dry slips on the right are for dry sailing dinghys. The dry slips further East are for smaller boats easily parked or just not used much. Again if you have questions with this plan please call me and I will explain it to you. Welcome to five new members in the month of June. Several are on the wait list for slips so if any member finds they will not be using their slip during the 2017 and wishes to sublease the same, please contact Harbormaster, Dennis Robertson. Clarence (CR) and Lynn Reames from Brownsburg, They have a 25 sail boat named ‘Smoke on the Water’, a Hobie and a kayak. 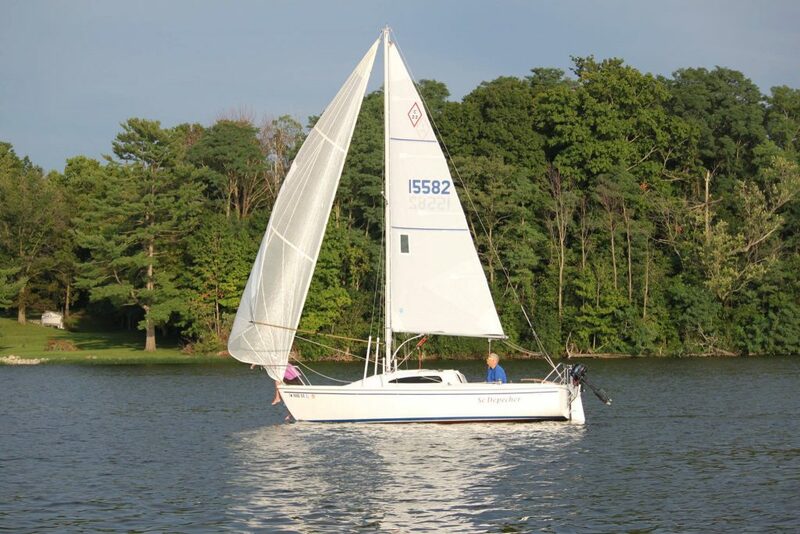 Robert and Mary Vaughn of West Lafayette Toby and Gale Leitzman of Indianapolis sailing a 25’ MacGregor named ‘Three Anns’. Eric Bretzman and Shelley Stine of Indianapolis with a Prindle 19. Kathy Lay and Peg O’Grady of Indianapolis who are presently searching for a boat. The next New Member Orientation will be held in the upper shelter house on Sunday July 16th at 1:00 pm. At their June meeting, your ECSC Board voted to purchase an AED (Automated External Defibrillator). This AED will be mounted on the east side of the Racing Shed and will be available to all members for use if needed. This is a portable electronic device that automatically diagnoses life-threatening cardiac arrhythmias and is able to treat them through defibrillation. The device will talk a responder through the necessary steps. AED’s are safe and simple enough for anyone to operate. Also the Good Samaritan laws cover well-intentioned use of public AED’s by lay people nationwide. This will be a welcome addition to our club. Two great events are coming up soon and all members are welcome to attend. The July 4th Pig Roast is the afternoon of the 4th at 4:30. Please plan to attend and bring your favorite covered dish to share. Then soon thereafter is the Beach Party, the evening of Saturday July 8th. This will be catered so a head count is needed and the cost is $10@. Notify Nick Mates if you plan to attend. 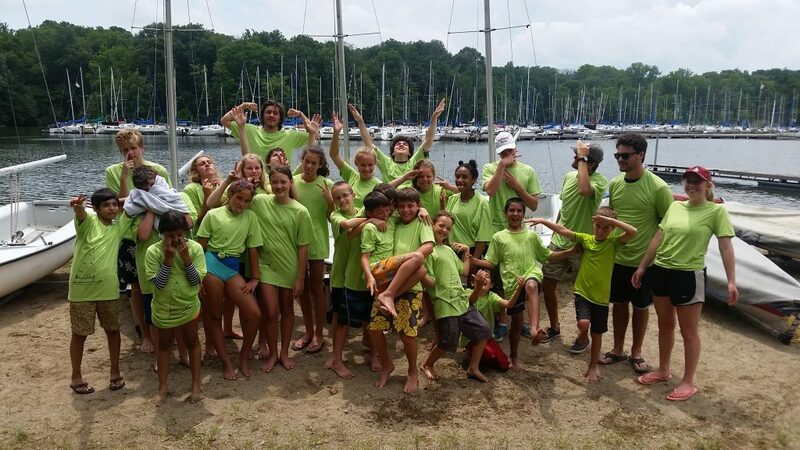 Another successful ECSC Junior Sailing camp is in the books with 50 students attending the camp between the two weeks! The weather was some of the best we have had for camp in a while, and all the kids had lots of fun AND learned a lot about sailing. As hoped, we were able to conduct camp operations pretty much at the new Junior Sailing pavilion, which made it nice for both the camp staff & campers, as well as any members who were using the club facilities. This has been a great addition to the ECSC club grounds, and doubles as a junior workout area the rest of the summer. The kids are already looking forward to next years camp, and we have a few campers interested in taking additional lessons. That’s one of the main goals of this camp is to introduce youngsters in the area to this sport and hoping they get a bit of the sailing bug, helping the future of sailing as a whole. Who knows, one of these kids could be a future regatta winner for ECSC Junior Sailing! The ECSC Junior Team is in full regatta mode, competing in 5 regattas last month, and three including I-LYA Junior Bay Week in July. We wish the team good luck at the upcoming regattas! Reagan Lessick is the only competitor from ECSC going to Junior Bay week, if you want to keep track of progress of the week long regatta results will be posted on Notice of Race here. Happy Sailing!